Discover the best top things to do in St-Tropez – the famous yacht destination at the French Riviera – including the old town, yachting, famous beaches and museums. St-Tropez is the one of the brightest spots in the map of the celebrated French Riviera. This one of the most glamorous tourist destinations in the world is famously visited by celebrities, shopping lovers and travelers from around the world. St-Tropez attracts with its picturesque pastel-colored buildings, busy nightlife at the sandy beaches and sunny weather. While visiting St-Tropez, there are some must-see attractions but also some hidden gems of this amazing French village. Instead of wondering what to do in St-Tropez, follow with us our guide of the best attractions in Saint-Tropez. Not to be missed! When in St-Tropez, spending some time on its legendary beaches is a must. The Pampelonne beach, famous since Bridget Bardot’s emerging scene from the water in “Et Dieu… créa la fame (And Good Created Woman), remains a chic spot for tourist and celebrities. The beach is about 5km of fine white sand and warm turquoise water. What is more, the Pampelonne Beach is full of seaside beach clubs, longue bars and beach terraces with lots of food and drink options. It’s also perfect for making some outstanding beach photos. While exploring St-Tropez, the famous Nikki Beach is definitely not to be missed. This veritable beach club heaven attires the biggest party lovers. Featuring 3-star Michelin visiting chefs, this place is perfect for a Sunday brunch or a crazy, deluxe pool party. Plage de Tahiti is located in the same bay as Pampelonne Beach and has the oldest beach club in this area of Cote d’Azur. Saint-Tropez has many more beautiful beaches like Plage de Bouillabaisse which is right outside the port, Plage des Canoubiers with its large sandy coastline, or shaded by the pine trees - Plage des Salins, especially adored by the Tropezienne residents. Nearest to the town center is the Plage de la Ponche and the Plage Fontanette. Cruising the yacht in St-Tropez is an incredible experience. Saint Tropez is very well known for its beautiful yachts that can be seen on the bay or in the old port. 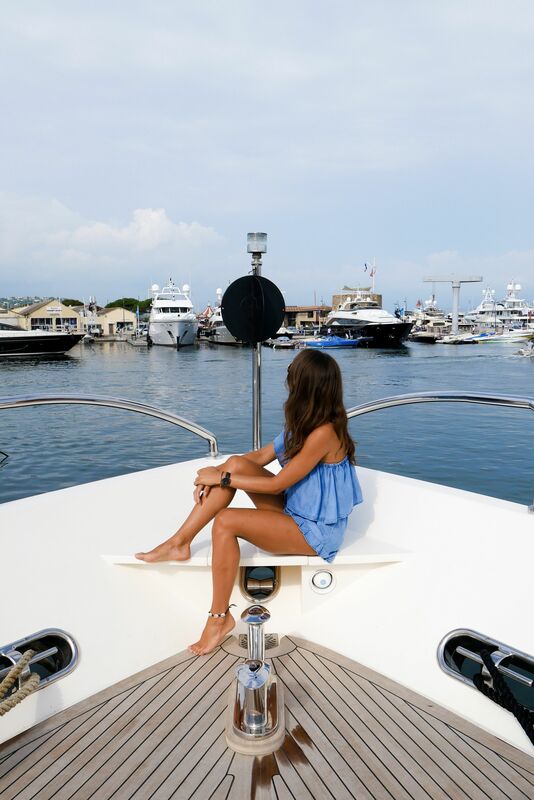 Naturally Yachting has several Yachts available for you to enjoy Saint Tropez from a completely different perspective. You can choose a day charter or spend the whole week on the Yacht, and believe us, this would be an unforgettable experience! 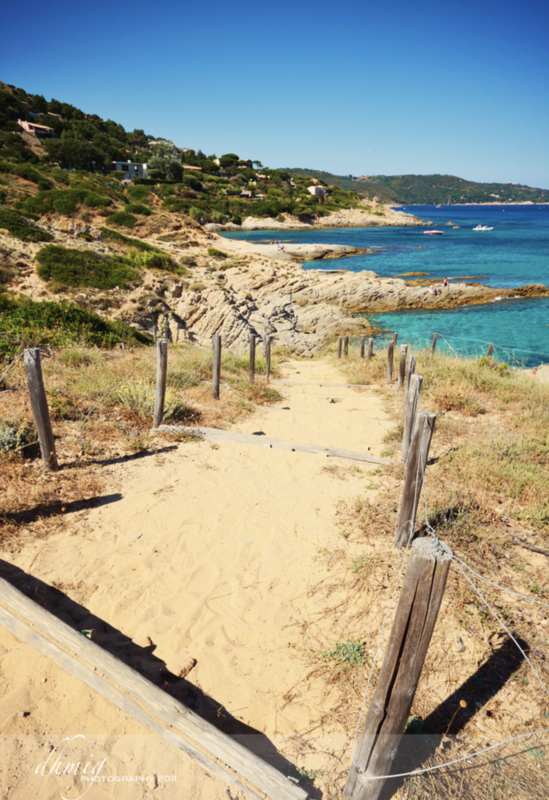 Beautiful costal paths around the Saint-Tropez are perfect for those who love to hike in the area of fabulous beaches along the way with truly breath-taking views. Seaside strolling is a great way to explore the terrain behind Saint-Tropez and to find gems, away from the busy centre of the village. Most of the paths feature some sea stops and offer the chance for a cool dip, so make sure you take your bathing suit with you. You will also find there some bars and cafés where you can catch your breath and enjoy a brunch with a view. Saint-Tropez harbour, placed in the heart of the village, is one of the most famous marinas in the world. It’s the idyllic place where the old fishing village first sprung to life. The colourful small fishing boats mix with luxury yachts and create the unforgettable atmosphere you can live strolling between the dock or sipping a coffee in one of the stylish cafés with outdoor terraces. 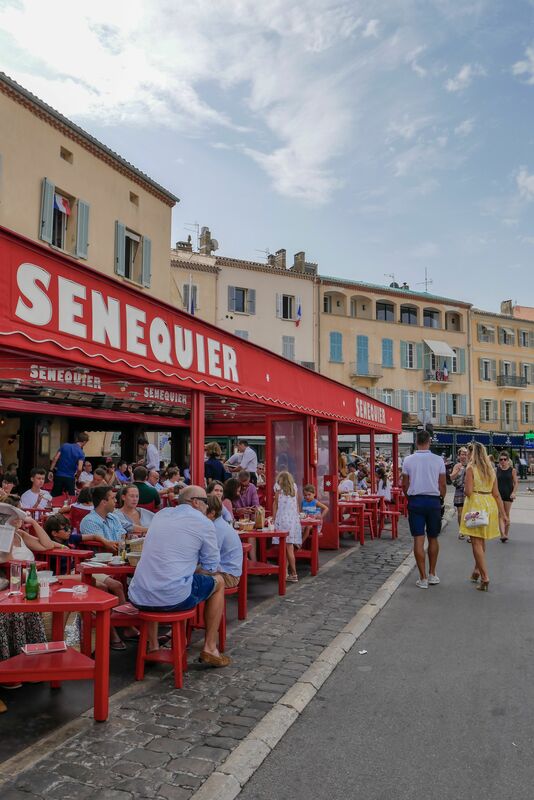 Café Senequier is one of the brightest spots in the Old Port of Saint-Tropez. 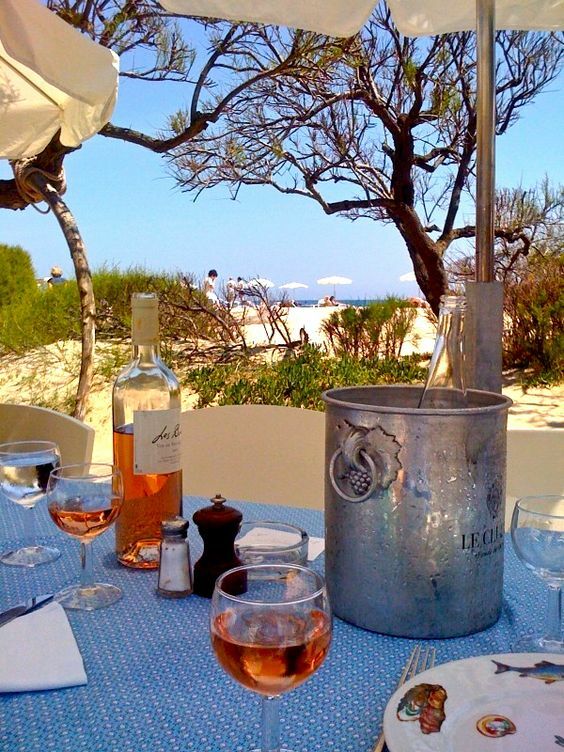 With its red facade and delicious beverages is the must-see attraction in St. Tropez. The Old Town is the most picturesque area of Saint Tropez. Narrow alleyways are full of pastel-colour small shops, exquisite boutiques, lively cafés and restaurants. Strolling along the streets you can admire some beautiful Mediterranean architecture. 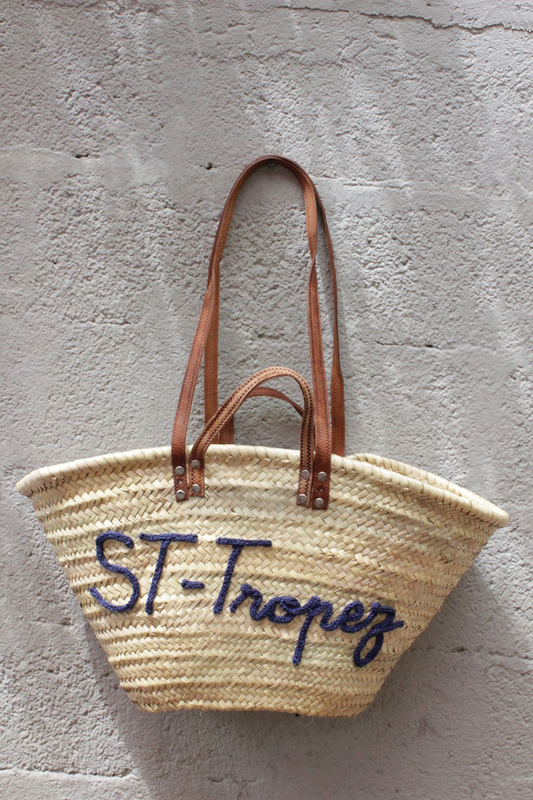 Saint Tropez is well known for its high-quality boutiques where the greatest fashion designers provide their luxurious collections mixing smart and casual style, perfectly adapted to the life in Saint-Tropez. The shopping lowers should visit the Place des Lices, Rue Gambetta and Rue Allard. On Tuesdays and Saturdays at the Place des Lices, underneath the plane trees, the famous market unfolds its treasures. Actually, the nightlife has no limits in Saint-Tropez, which remains the hottest party spot on the French Riviera. The best beach clubs, bars and night clubs attract the rich and the famous from all over the world. The most prestigious nightclub is Les Caves du Roy which has ruled the nightlife of Saint-Tropez for the past 40 years. Another celebrated nightspot is VIP Room, which once was an Italo-Med restaurant named Le GIOIA serving dishes and mood music. Now it’s an electric styled club called by Karl Lagerfeld “the best club in the world”. Gaio is another nightclub not to be missed by the party lovers. After trying all the pleasures St-Tropez has to offer, only the art can save you! Fortunately, this amazing village has something for the art lovers and those who want to get to know better its interesting history. St-Tropez has four extraordinary museums that will guide you through the different topics of its maritime history, avant-garde, films and even butterflies. Musée d’Histoire Maritime is situated in the citadel of St-Tropez which, besides celebrating the Maritime history of the town, the local sailors and fishermen, offers amazing views over the city and Mediterranean Sea. 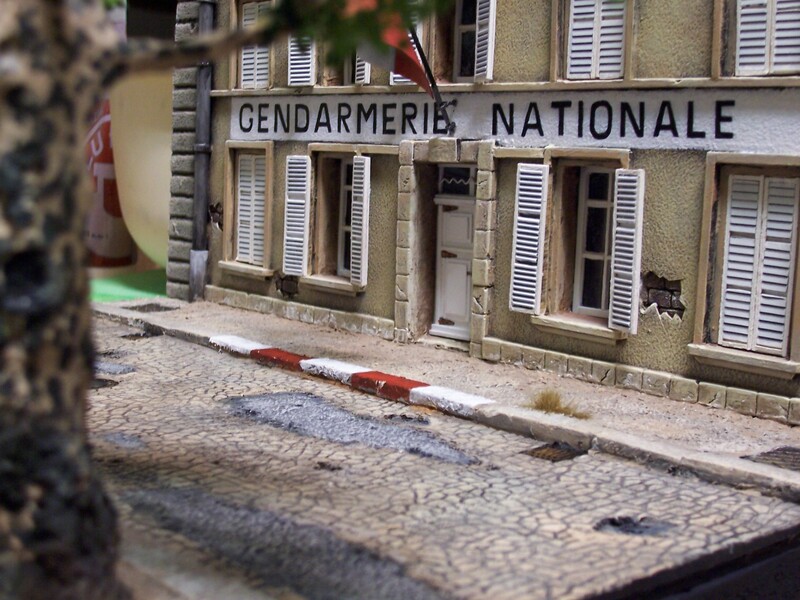 Musée de la Gendarmerie et du Cinéma de St Tropez is an interesting place which reveals the local myths around St-Tropez’s film scene. Le Musée de l’Annonciade is the first modern art museum in France showing the relationship of the village with avant-garde. La Maison des Papillons is full of butterflies featuring over 35,000 specimens of this amazing creatures over painted backgrounds.